April 30, 2017 7 comments on "Tip for Removing Scorch Marks from Linen or Cotton Fabric"
Do you have a scorch mark or iron mark on one of your favorite pieces of linen or cotton fabric or clothing? Give these tips from our readers a try, they really work! Tip #1: To remove a scorch mark from linen or white cotton fabric, dip a piece of old fabric in hydrogen peroxide, lay it on the scorched portion of the fabric, and rub with a hot iron (not too hot). If it doesn’t work the first time, repeat until the stain is completely removed. Tip #2: If you scorch cotton fabric while ironing, plunge into cold water immediately and let stand 24 hours. The scorched areas will disappear. Tip #3: To remove scorch mark from a garment, take a clean, soft cloth moistened with white vinegar and rub over discolored area. Take another clean cloth dampened with water and rub area again. Continue pressing or ironing garment. Tip #4: Just a quick note to thank you for saving my life! Well, not really, but I was SO upset when I scorched one of my honey’s favorite shirts today. I went to Martha Stewart’s site, thinking she would have a way to fix it, but no luck at all – when you look up “scorch” you are directed to plants being scorched by the sun! So I googled “repair scorch” and you popped up! Tip #5: I tried the tip with hydrogen peroxide and it worked beautifully! I had a brand new white jean skirt that I laid next to a hot iron…(didn’t realize they were touching). Tip #6: Your tip of placing the scorched clothing into icy water worked! I scorched my white cotton/spandex blouse. Tip #7: I just tried this tip on some polyester I did hand embroidery on. While trying to iron out the residual ink from the transfer I inadvertently scorched the embroidery floss. Tip #9: THANK YOU! While staying in a friend’s guest house, I kicked off the comforter and it landed up against an electric floorboard heater. Tip #10: I scorched a pair of beige 100% cotton shorts. So I went on the Internet looking for a remedy and happened upon this site. I used the ice water method, and this is how: I got a half-gallon jug of ice water out of the refrigerator and poured it all out on the scorched area. Then I hung the shorts outside to dry. Tip #11: Fantastic tip about the hydrogen peroxide – I sold an adorable 50’s sundress with exquisite black embroidery on the white dress and wanted to starch and press it before mailing. Apparently, I bumped the temperature setting, and it got too hot and scorched the dress in 2 large areas. I WAS SICK!!! I looked up “Scorched” on google and found your solutions and the hydrogen peroxide eliminated ALL traces of the 2 large scorch marks. HIGHLY RECOMMEND HYDROGEN PEROXIDE !!! Thanks so much…Dana. Tip #12: WOW, this worked! I scorched my white tuxedo shirt a few hours before a New Year’s party, and I would have been lost without this tip. Tip #14: I work with antique and vintage fabrics doing repair and restoration work on quilts ranging from 1840-1950. I had a piece of 150-year-old white linen which I had removed and hand washed. I was ironing it prior to using it for restoration in another quilt from the 1850s and accidently scorched it in two small areas. Tip #16: Removing scorch stain from cotton comforter using hydrogen peroxide worked!!! My scorch stain was actually a stain from the hot dryer, not a burn from the iron. Tip #18: Using peroxide on scorch marks. It worked. Had just finished queen size quilt that I was going to stitch the label to and just put it on the ironing board, not realizing that the iron was on. Tip #20: I had a turquoise all cotton camp shirt top that I found had a yellow mark near a button hole. It looked like an iron mark even though I did not recall causing it when I ironed the shirt or even seeing it before. However I do have to iron this shirt each time it is washed and the shape of the yellow mark looked just like the point of an iron. I tried the hint I found on this website of taking a piece of fabric soaked in hydrogen peroxide and then using it as an ironing cloth with a hot (but not TOO hot) iron or the stained area. 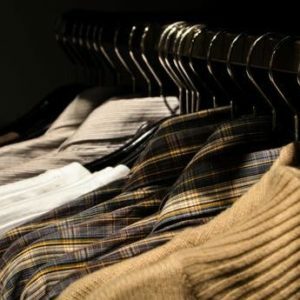 come completely out but has faded such a great deal that I will be able to wear that top again thanks to this great tip! 7 Comments on "Tip for Removing Scorch Marks from Linen or Cotton Fabric"
Tip# 1 for removing iron scorch marks worked fabulous! I scorched the center of a quilt I was working in, and this tip saved the day. Thank you! Hello, should I try any of these tips on 100% polyester sofa fabric? Thanks! Amazing! I accidentally scorched an old linen. I tried this and the stain is completely gone! Thank you! Thanks for the tip. I was trying to get all the wrinkles out of the most important part of a wedding quilt I am making. I later found a scorch mark. Thought I would have to cover it, but your tip saved the day! Hmmm, wont hydrogen peroxide bleach the color of the garment? No, it won’t. Hydrogen peroxide doesn’t bleach like regular bleach does. It is a great stain remover and is safe for colors. Here is my miracle stain remover recipe.